Can Google, Amazon Gang up on iPhone? iPad 2 Selling Out in US, But Is It Safe? When will Amazon introduce a full-fledged tablet, one built to compete with the Apple iPads and Motorola Xooms of the world? 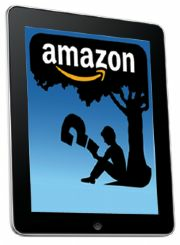 As the Internet's top retailer--and one with a highly successful track record in the e-reader/e-book space--Amazon is in an excellent position to expand beyond today's Kindle audience and compete for a larger share of a growing tablet market. A new report suggests Amazon is well on its way to making this happen. Blogger Nick Bilton in Friday's New York Times writes that Amazon appears to be on a hiring spree for mobile developers with Android expertise. In fact, the company has posted five job openings for Android programmers in the past week. Of course, this news alone doesn't mean that an Android-based tablet from Amazon is imminent. But viewed in context with recent Amazon rumors, it's a strong indication of the company's upcoming tablet intentions. Earlier this week, an alleged Amazon app store appeared briefly online before being taken down. The store's prices on many Android apps were reportedly lower than those of the main Android Market. Assuming that Amazon is gearing up to launch its own Android app store, wouldn't a companion tablet make sense? Of course, there are plenty of mobile devices that run Android today, and Amazon would have a ready market of customers even if it decides not to ship an iPad-like competitor. But with the success of the Kindle e-reader--Amazon claims to have sold "millions" of the devices--the online retailer is in a strong position to sell a house-branded Android slate. Both Apple and Amazon have demonstrated how a vital online marketplace can spur sales of mobile hardware. Apple, of course, has the iTunes, iBooks, and the App Store to deliver content to millions of iPhone, iPad, and iPod touch users. Amazon's Kindle ebook store has served the same role for its Kindle e-reader customers, and for those running the Kindle book-reading app on other devices. Today's Kindle is best suited for book-reading. It fulfills a niche that's distinct from that of the iPad and similar tablets, as Amazon CEO Jeff Bezos recently made clear. And with the Kindle's price rumored to plummet this year, a door is opening for an Amazon-branded iPad competitor with strong hooks into Amazon's collection of online content. Amazon will unveil an Android-based slate. The only question is when.